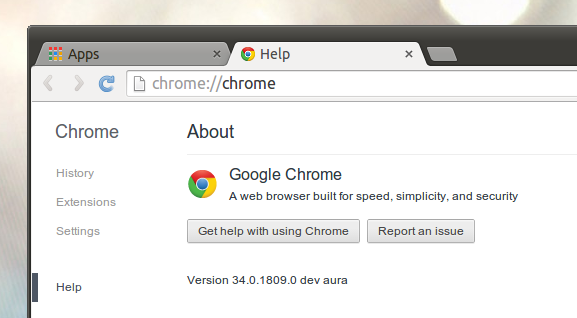 The latest Google Chrome unstable (dev channel) for Linux was updated recently, getting the Aura UI stack, Notification Center and App Launcher back. 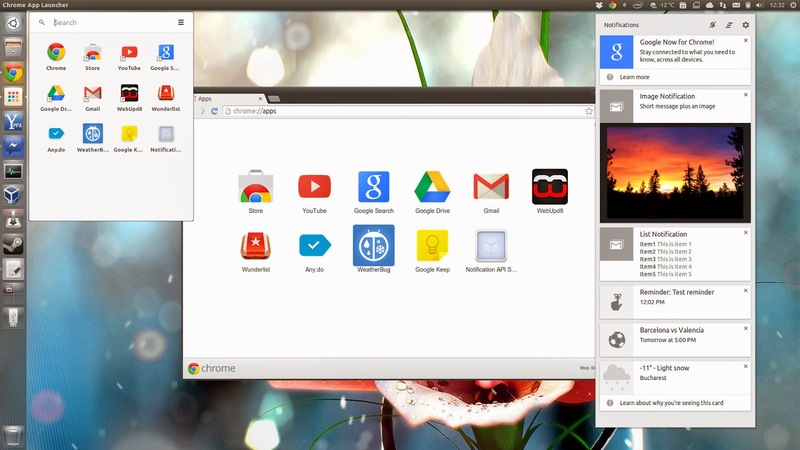 The Aura UI, Notification Center and App Launcher were added to Chrome for Linux a couple of months ago but they was removed shortly after that. Aura, the new graphical stack for Chrome, was initially used on Chrome OS, then on Chrome for Windows and Mac and now it's finally also available for the Chrome Linux browser. Aura handles the rendering, compositing and so on, using the GPU when possible. For technical details, see THIS page. Update: February 6, 2014: these features were removed once again from Google Chrome Unstable for Linux (version: 34.0.1825.4-1). Hopefully they will return soon. With this update, Chrome (unstable) for Linux uses rich notifications: they can display formatted text, images and include direct actions so for instance you can directly reply to an email - well, at least in theory because I couldn't get any interactive notifications to work, for instance Gmail refused to display notifications for new messages for some reason. Another cool new feature that's now available in Chrome (unstable) for Linux is the addition of Google Now cards (see screenshot with Chrome Notification Center above). 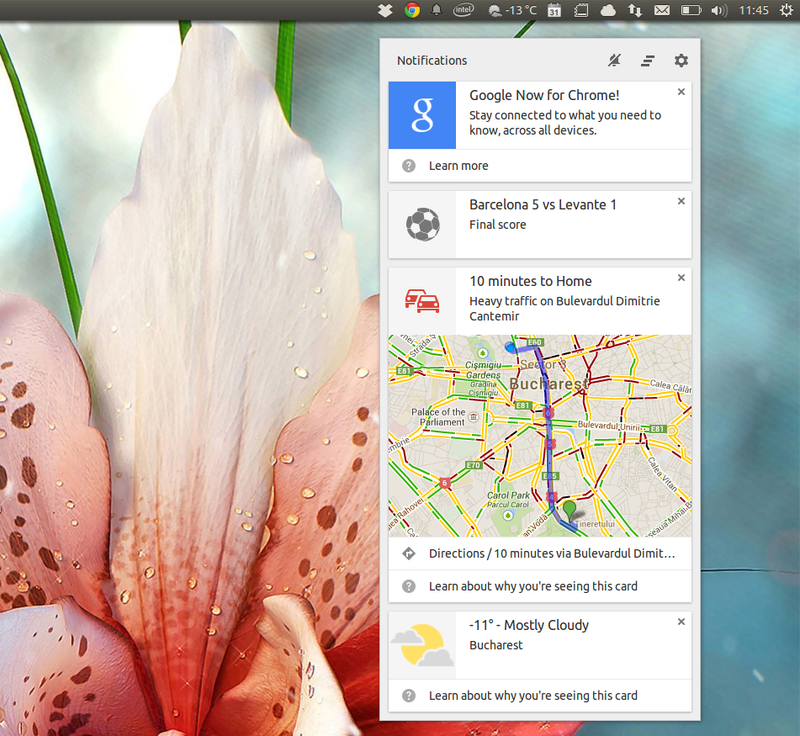 Basically, if you use Google Now on your mobile device, you can now see the Now cards on your Desktop. That only works if you're signed into Chrome obviously, and the notifications can include weather, commute traffic, event reminders and so on. 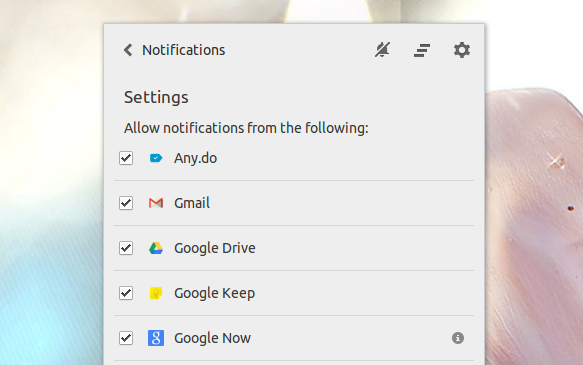 The Google Chrome Notification Center should be enabled by default if you're using the latest unstable build. 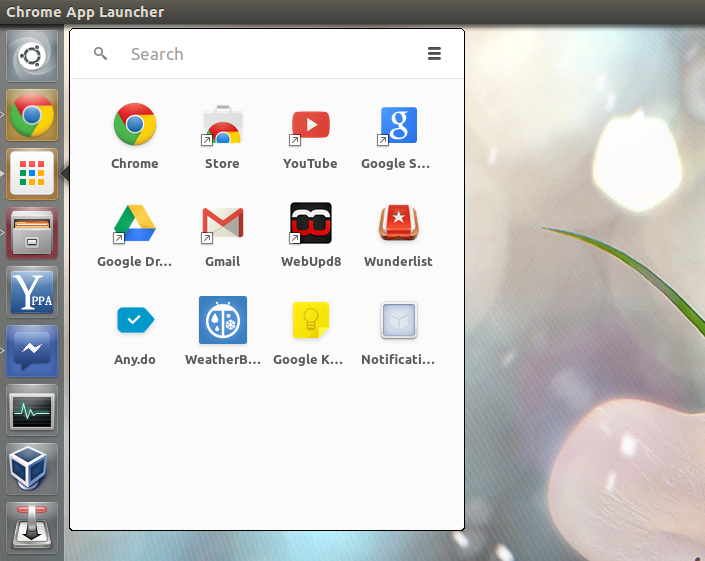 The App Launcher is currently not enabled by default on Chrome (unstable) for Linux. To activate it, open chrome://flags in Chrome, search for "Enable the app launcher" and enable it, then restart the browser. Then, to get the menu to show up, install a Chrome packaged app from the web store (it must be installed from "For Your Desktop"). 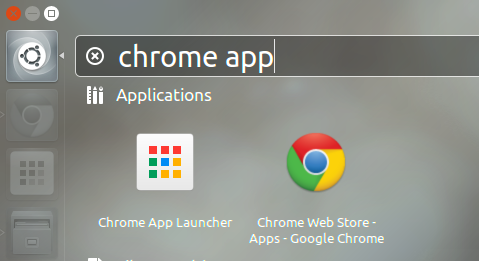 If you already had some Chrome packaged apps installed, the App Launcher won't show up. To get it to show up, either use a new, clean profile or simply uninstall all the Chrome packaged apps you may have installed, then follow the steps above. 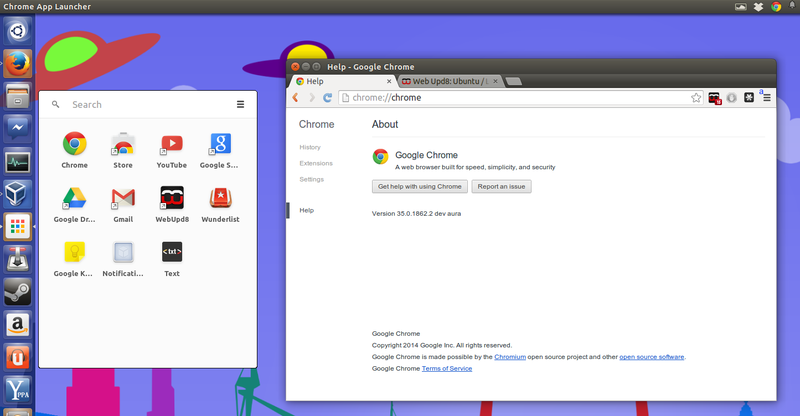 Note that installing Google Chrome dev channel on Linux will remove Chrome stable / beta.